Available until January 1st at a special holiday discount of $25 for both! 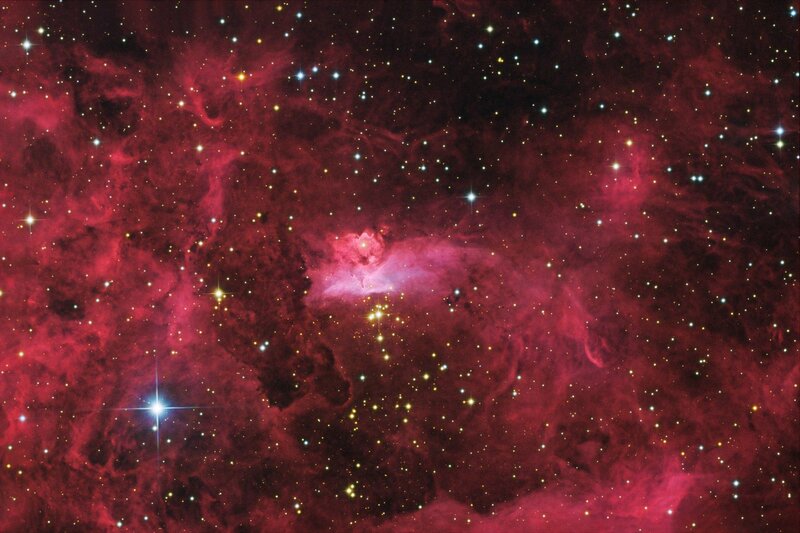 Imagine having a guided meditation that bathes you in profound experiences of cosmic love. How would it feel to return from a meditative state or awaken in the morning, immersed in the sensation of being Held in the Arms of God? Now add to that mystical experience a second CD that offers a simple but effective guide to creating miracles with your thoughts. Step by step, Manifest Your Dreams! tells you exactly what to say and do. All you need to do is follow along. At last you can take my Seminar at home. The best part is that my advanced Manifestation material on Quantum Ho'oponopono is also included! combined with my ground-breaking Tap Into Bliss DVD, bring together my most cutting-edge techniques for expansion of consciousness and personal transformation. Having taught as many as 20,000 people to achieve the life of their dreams, I know how powerful manifesting techniques can be. Most people are unsure or confused about the process and give up before they achieve their desired results. Together, these new CDs will continually lead you along a path of expanding love and gratitude. 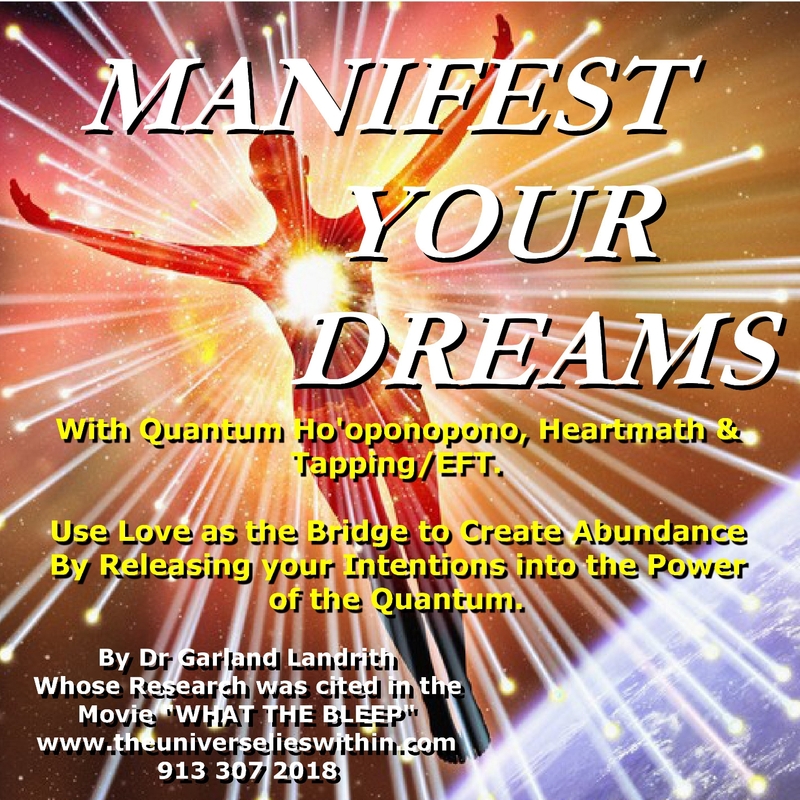 Manifest Your Dreams! teaches you how to use love to ‘let go’ and enter what I call the Quantum Flow of unlimited abundance, unlimited possibilities. Held in the Arms of God deepens your appreciation for all that you already have by using gratitude. Gratitude then attracts more things to be grateful for. Enjoy access to my classes—anywhere, anytime! Begin today! Enhance the abundance in your life, become an expert at manifesting your dreams, and achieve richer cosmic experiences during meditation. These CDs are designed to complement each other, so you can alternate between them from day to day or focus on one for an entire week and then the other. Each CD offers both day and night techniques, either guiding you into sleep or bringing you back from meditation feeling energized and refreshed. 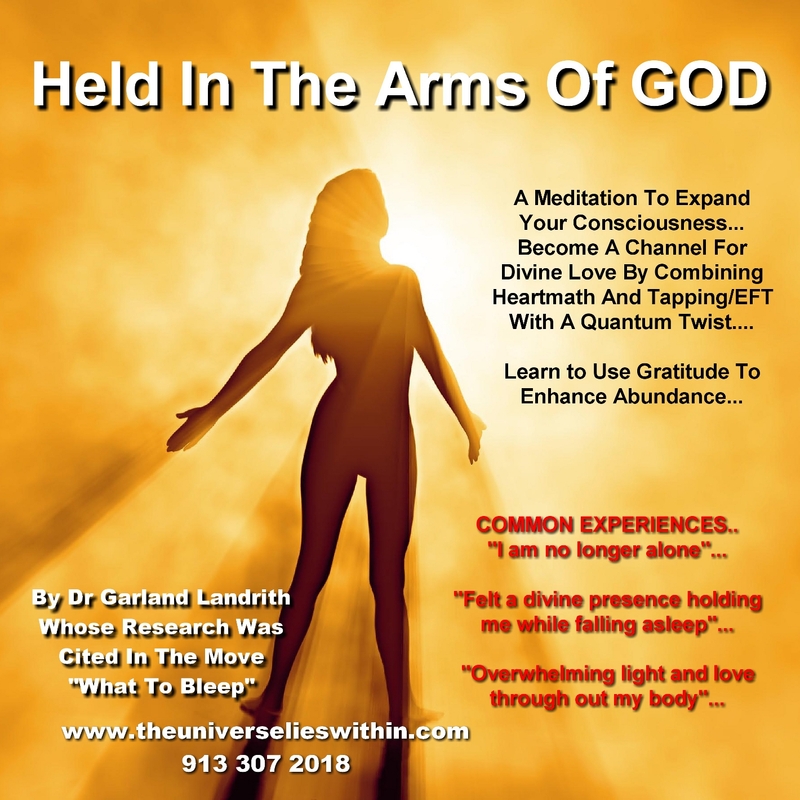 Falling asleep while manifesting is an ideal way to embed our intentions into our subconscious, and what better way to awaken each morning than with the sensation of being held in the arms of God? The indescribable experience of being embraced by the Divine is equally miraculous with or without a life partner. People report the same profound experiences of cosmic love, whether they are falling asleep alone, listening to the CD with a loved one, or sharing in a group meditation. or Manifest Your Dreams! CDs, but you have to Act now! This special offer of both CDs for only $25 ends on January 1, 2013.